Brian Muir attending a convention. Ralph Angus McQuarrie was an American conceptual designer and illustrator. His career included work on the original Star Wars trilogy, the original Battlestar Galactica television series, the film E.T. the Extra-Terrestrial, and the film Cocoon, for which he won an Academy Award. Elizabeth Moore was a British sculptor, known for working in the properties for various films. Alien is a 1979 science-fiction horror film directed by Ridley Scott and written by Dan O'Bannon. Based on a story by O'Bannon and Ronald Shusett, it follows the crew of the commercial space tug Nostromo who encounter the eponymous Alien, a deadly and aggressive extraterrestrial set loose on the ship. The film stars Tom Skerritt, Sigourney Weaver, Veronica Cartwright, Harry Dean Stanton, John Hurt, Ian Holm, and Yaphet Kotto. It was produced by Gordon Carroll, David Giler and Walter Hill through their company Brandywine Productions, and was distributed by 20th Century Fox. Giler and Hill revised and made additions to the script; Shusett was executive producer. The Alien and its accompanying artifacts were designed by the Swiss artist H. R. Giger, while concept artists Ron Cobb and Chris Foss designed the more human settings. Raiders of the Lost Ark is a 1981 American action adventure film directed by Steven Spielberg, written by Lawrence Kasdan from a story by George Lucas and Philip Kaufman. It was produced by Frank Marshall for Lucasfilm Ltd., with Lucas and Howard Kazanjian as executive producers. The Ark of the Covenant, also known as the Ark of the Testimony, is a gold-covered wooden chest with lid cover described in the Book of Exodus as containing the two stone tablets of the Ten Commandments. According to various texts within the Hebrew Bible, it also contained Aaron's rod and a pot of manna. Hebrews 9:4 describes: "The ark of the covenant [was] covered on all sides with gold, in which was a golden jar holding the manna, and Aaron's rod which budded, and the tablets of the covenant." Alexander is a 2004 epic historical drama film based on the life of the Macedonian general and king Alexander the Great. It was directed by Oliver Stone and starred Colin Farrell. The film's original screenplay derived in part from the book Alexander the Great, published in 1973 by the University of Oxford historian Robin Lane Fox. After release, while it performed well in Europe, the American critical reaction was negative. It grossed over $167 million worldwide against a $155 million budget. A View to a Kill is a 1985 British spy film, the fourteenth in the James Bond series produced by Eon Productions, and the seventh and last to star Roger Moore as the fictional MI6 agent James Bond. Although the title is adapted from Ian Fleming's short story "From a View to a Kill", the film has an entirely original screenplay. In A View to a Kill, Bond is pitted against Max Zorin, who plans to destroy California's Silicon Valley. The Avengers is an espionage British television series created in 1961. It initially focused on Dr. David Keel, aided by John Steed. Hendry left after the first series; Steed then became the main character, partnered by a succession of assistants. His most famous assistants were intelligent, stylish and assertive women: Cathy Gale, Emma Peel and Tara King. The series ran from 1961 until 1969, screening as one-hour episodes for its entire run. The pilot episode, "Hot Snow", aired on 7 January 1961. The final episode, "Bizarre", aired on 21 April 1969 in the United States, and on 21 May 1969 in the United Kingdom. Tomb Raider, also known as Lara Croft: Tomb Raider between 2001 and 2007, is a media franchise that originated with an action-adventure video game series created by British gaming company Core Design. Formerly owned by Eidos Interactive, then by Square Enix after their acquisition of Eidos in 2009, the franchise focuses on a fictional British archaeologist Lara Croft, who travels around the world searching for lost artefacts and infiltrating dangerous tombs and ruins. The gameplay generally focuses around action-adventure exploration of environments, solving puzzles, navigating hostile environments filled with traps, and fighting numerous enemies. Additional media has grown up around the theme in the form of film adaptations, comics and novels. The Galactic Civil War is a fictional interstellar war from the Star Wars galaxy. It serves as the setting for the original trilogy of films entitled A New Hope, The Empire Strikes Back, and Return of the Jedi, the 2016 anthology film Rogue One, as well as many novels, comics, and video games in the Star Wars expanded universe. 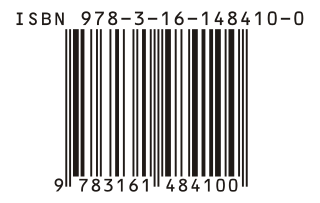 "The Imperial March " is a musical theme present in the Star Wars franchise. It was composed by John Williams for the film The Empire Strikes Back. Together with "Yoda's Theme", "The Imperial March" was premiered on April 29, 1980, three weeks before the opening of the film, on the occasion of John Williams' first concert as official conductor-in-residence of the Boston Pops Orchestra." One of the best known symphonic movie themes, it is an example of a leitmotif, a recurrent theme associated with characters or events in a drama. Keith Short is a sculptor, primarily working within the feature film industry in the UK. DNEG is a British motion picture visual effects and computer animation and stereo conversion company that was founded in 1998 in London. 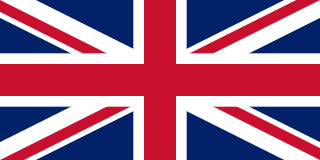 The Sinfonia of London is the name of two distinct session orchestras based in London, England. The original ensemble of this name was founded in 1955 by Gordon Walker, an eminent flautist of his time, specifically for the recording of film music. The orchestra came into being when there was a split in the future direction of the London Symphony Orchestra, many LSO players leaving to join the Sinfonia of London in order to undertake the more lucrative film soundtrack work. The orchestra appeared in the musical credits of many British and American films of the 1950s and '60s, including the 1958 soundtrack for the Alfred Hitchcock thriller Vertigo with Bernard Herrmann's score conducted by Muir Mathieson for Mercury Records and, in 1961, the soundtrack of the horror film Gorgo. Lindy Hemming is a Welsh costume designer, who won the Academy Award for Best Costume Design for Topsy-Turvy (1999). Kenneth F. Smith is a special effects artist. He works at ILM as well. He also won 2 Academy awards. Charley Henley is a visual effects supervisor. He was nominated at the 85th Academy Awards for his work on the film Prometheus, in the category of Best Visual Effects. He shared his nomination with Martin Hill, Richard Stammers and Trevor Wood. He is also the son of the late actor Drewe Henley, who was most famous for his role as Red Leader in Star Wars, and renowned British actress Felicity Kendal. Tomb Raider is a 2018 action-adventure film directed by Roar Uthaug, with a screenplay by Geneva Robertson-Dworet and Alastair Siddons, from a story by Evan Daugherty and Robertson-Dworet. 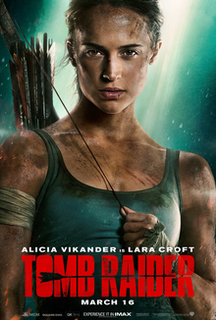 An American and British co-production, it is based largely, but loosely on the 2013 video game of the same name, with some elements of its sequel by Crystal Dynamics, and is a reboot of the Tomb Raider film series. The film stars Alicia Vikander as Lara Croft, who embarks on a perilous journey to her father's last-known destination, hoping to solve the mystery of his disappearance. Dominic West, Walton Goggins, Daniel Wu, and Kristin Scott Thomas appear in supporting roles. ↑ Connelly, Brendon (March 21, 2013). "The Man Who Carved Darth Vader's Mask Is Busy On The Guardians Of The Galaxy". Bleeding Cool. Archived from the original on March 21, 2013. Retrieved March 21, 2013. ↑ "Brian Muir Vader Sculptor – Filmography" . Retrieved March 2, 2016. Wikimedia Commons has media related to Brian Muir .